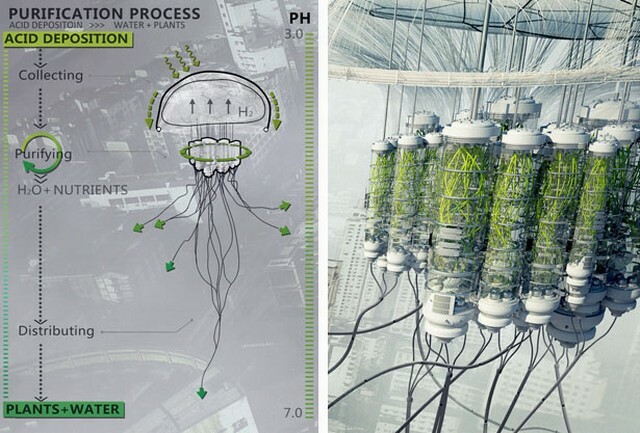 To be honest, PH Conditioner Skyscraper concept is very ambitious project to improve air quality while providing fresh water and fertilizer as well. Yes, if we kept on doing what we’re doing with industrialization and the burning of fossil fuels, in the future, we might face Acid rain. Do you know that SO2&NOx produced by heavy traffic and industrial production has driven the pH level of atmosphere under 5.6? These acidic materials are gradually reaching the surface of the earth which can cause harm to everything, plants, buildings, and human beings. The skyscraper concept has been designed for Chongqing, China but it could be utilized around the world to clear the air of acid rain and eventually turn pollutants into good resources such as chemical fertilizer and reclaimed water. 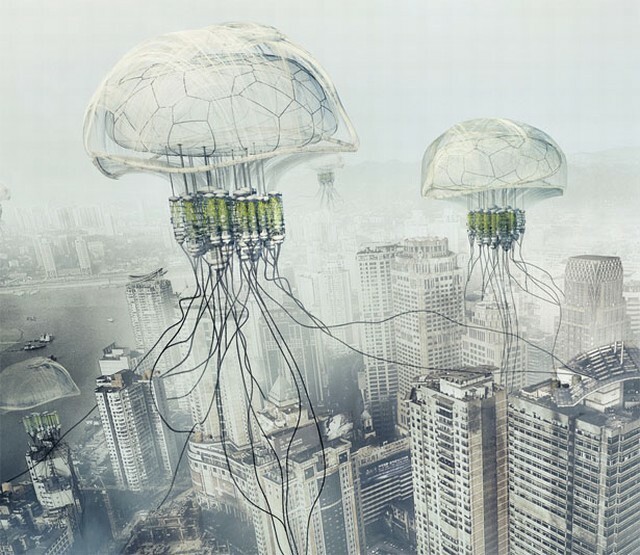 PH Conditioner Skyscraper concept is set to be at 700 to 1000 feet high (200-300meter) where acidic pollutants gather. The aerocyst filled up with H2 at the top of the building provides buoyancy to it while the porous membrane attached to the air bags absorb any acidic materials and put them into the main purifier to be neutralized. In this way, all acid pollutants can be transformed into neutral liquid with ammonium salt which later absorbed by plants on tentacle pipelines as green nutrients. Any other remaining liquid will be delivered to the terminal tank and become the source of reclaimed water. 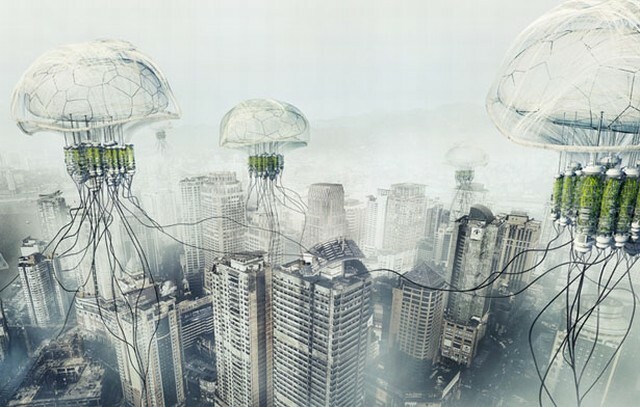 This project was a part of Evolo Skyscraper design competition which explores dynamic equilibrium between human and nature.